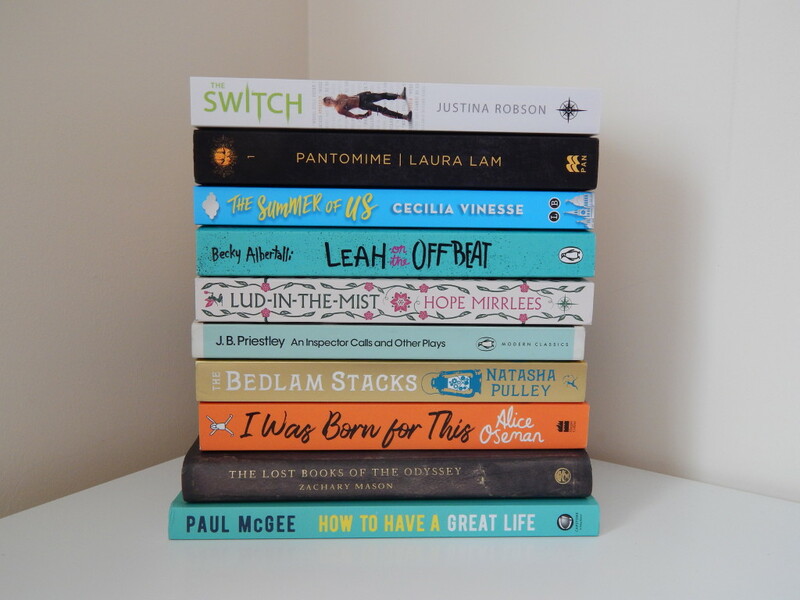 Once again, I found myself staring at my TBR shelf and realising that I have acquired a number of new books recently that I desperately wanted to share with you. Some of these were gifts, some I paid for by myself and others were sent to me by publishers. I’ve marked these with an * so that it’s nice and obvious for you. Obviously, I haven’t read all of these yet so I can’t say much about them but I’ll do my best to let you know why I chose them! The Switch by Justina Robson* – this was sent to me by the lovely folks over at Gollancz. It’s a sci-fi book, all about a perfect society which does anything to remain prim and proper. It follows Nico who isn’t a model citizen and so finds his life in danger. Pantomime by Laura Lam – I recently attended a fantastic ‘Read with Pride’ event at the Waterstones in Newcastle and I was so impressed by the speakers that I did some book shopping immediately afterwards. Laura Lam was one of the speakers and I was blown away by them. They kept talking about this book, a fantasy with an intersex, genderfluid and bisexual protagonist. It’s also set in a circus and you all know how much books set there! The Summer of Us by Cecilia Vinesse – This was included in July’s Wildest Dreams Book Box and sounds like a wonderful summer romance, which will be perfect for unwinding with. Leah on the Offbeat by Becky Albertalli – Leah on the Offbeat was included in June’s Wildest Dreams Book Box and is set in the same world as Simon vs. the Homo Sapiens Agenda. I’ve heard very good things about this and would love to read it soon. Lud-in-the-Mist by Hope Mirrlees* – I don’t know much about this other than it’s an exciting fantasy. I think I want to stay in the dark about this as apparently it is full of mystery! An Inspector Calls and Other Plays by J.B. Priestley – Can you believe I hadn’t read An Inspector Calls until July 2018? I’m almost ashamed. The Bedlam Stacks by Natasha Pulley – Another one from the event at Waterstones, though this one is historical fiction and sounds absolutely brilliant. I was Born for This by Alice Oseman – Alice Oseman was also on the panel and sounded so lovely that I immediately picked up one of her books. I’m not usually one for contemporaries but all of the Northern Book Bloggers have been raving about her work for so long that I decided to pick one up myself. The Lost Books of the Odyssey by Zachary Mason – This was a leaving gift and not something I know much about it. I wholeheartedly trust the taste of the person who bought it for me however so I’m excited to find out what this is about and what it is like. My degree is in Classical Studies and English so it certainly appeals! 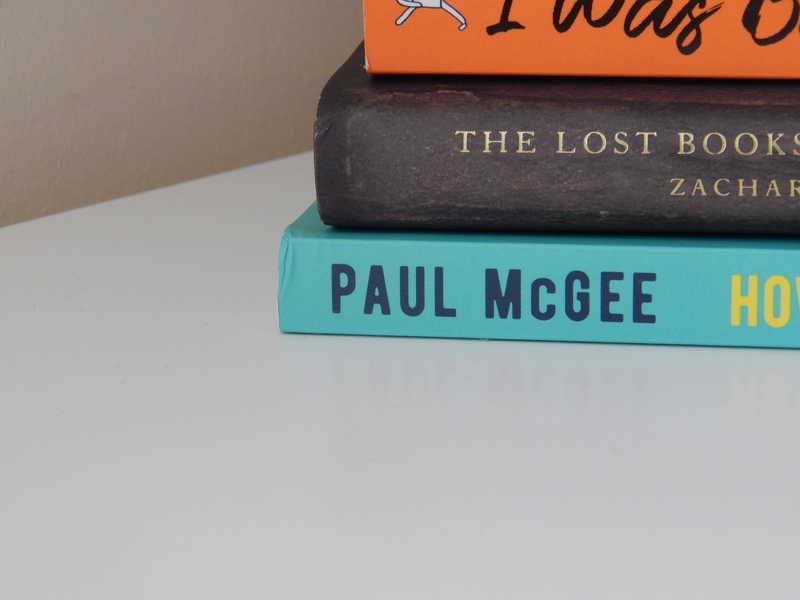 How to Have a Great Life by Paul McGee* – I was sent this by the publisher and it looks like an exciting read. It promises simple tips for success, fulfillment and happiness. I Was Born for This is amazing. I hope you love it.